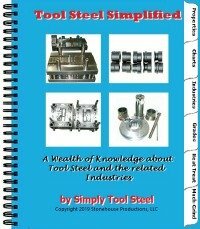 This question just came up again the other day and we felt that we had better address it here, "Can tool steel be welded?" Welding of tool steel is sometimes advantageous or necessary. Sometimes a tool cracks or chips while in service and needs to be welded. Occasionally a mold tool will need to have eroded material replaced by weld repair. A welded tool should not be considered as a standard solution but more as a temporary solution. A welded repair will not have the same alloy content, hardness, toughness or wear resistance as the original base material. The performance of the tool will suffer to some extent. High carbon grades of tool steel are particularly difficult to weld with great results.